When you’re involved in a family law dispute, you need a lawyer who has both the legal knowledge to advance your case as well as the shrewdness to fight for you in a way that preserves your long-term family relationships. 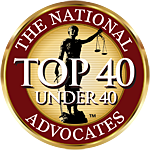 Sykes Law has years of experience helping clients and their love ones in the following matters. A divorce can be bitter, but it doesn’t have to be. Our goal is to relieve your stress. Sykes Law can help you settle your case, attend mediation, or go to court. No matter your reason for a divorce, we are ready to fight for you. Child custody, visitation, and child support orders should further the best interests of the child by establishing a parenting plan that meets the family’s unique needs. If these needs have changed since the divorce, you may need a lawyer to file for modification. If a parent disregards the court order, you may need a lawyer to file a contempt action. Alimony and spousal maintenance acknowledge that a spouse can make contributions to the marriage even if they weren’t the primary breadwinner. If the income of the ex-spouses significantly increases or decreases after the initial divorce order, either spouse may request a modification. When a family member did not have estate planning documents in place to arrange for their care in the event of a medical or physical disability, a loved one may petition the court to establish a guardianship or conservatorship to allow them to legally manage their loved one’s affairs. Under Georgia law, a father who has a child born to an unwed mother, must legitimate in order to gain legal custodial rights to his child. So that each parent may have appropriate visitation and share in the costs of raising the child. Paternity establish important rights for both parents as well as the child. Under Georgia law, grandparents and third-parties, especially other relatives, may seek custody of a child or visitation rights based on their relationship with the child and the health, welfare, and best interests of the child. In order to protect the rights of the biological and adopting parents as well as the child, the adoption process is legally complicated with extensive paperwork. Following an adoption, you will also want to update your estate planning documents and create a plan that ensures your child will be cared for if something happens to you. The courts provide strong protections to victims of domestic violence to allow them to remove themselves from unhealthy situations. Both temporary and permanent restraining orders are available. When a father wants to be involved in his child’s life, he has every right to do so, and the mother should not deny this right without showing the court good cause. A guardian ad litem is appointed in child custody matters as a representative of the child only, not either parent, to ensure that the child’s best interests are represented. The guardian ad litem must present a written report of findings to the court and involved parties and may also be called to testify at any hearings. If you need a legal gladiator to fight for your family, Sykes Law is here for you. I handle cases throughout Fulton, DeKalb, Gwinnett, Douglas, Clayton, Cobb, Henry, Fayette or surrounding counties.